A while ago I had a friend who needed to be sheered up a bit. She needed some luck. On Ravelry I vout the pattern of Shana at the Chris and Shana’s craft shack. Shana made a little bag that could be used to wrap presents in. So cute! I made the bag even smaller and made it into a wishbag. 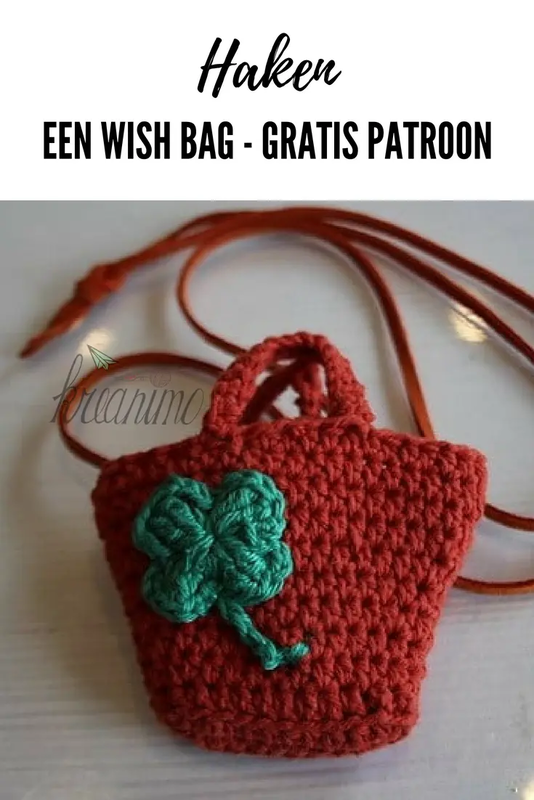 A little purse you can wear around your neck with your dearest wish inside, to wear close to your heart! 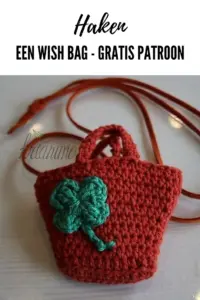 When the wishbag was finished, I gave it to my friend and posted a picture in my Ravelry gallery. Shana liked it and asked if she could use my picture as a featured picture. I felt honored, so I said she could. I asked her if I could translate the pattern into Dutch and post in on my own blog. She like the idea, but I never go round to it. 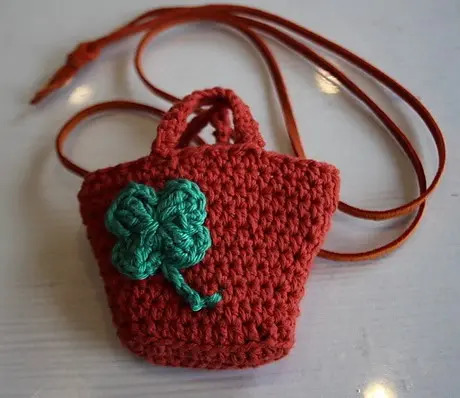 If you love this little purse as much as I do or if you’d love to make a wishbag too, you can find the pattern here. Pin the pattern for later?